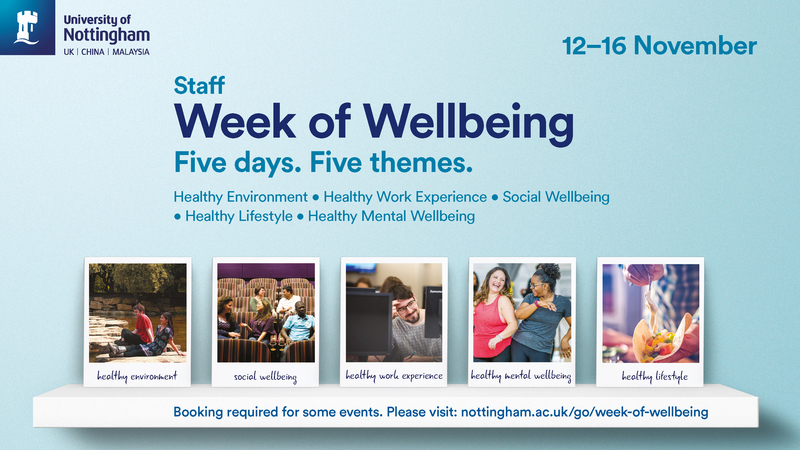 A Week of Wellbeing is taking place from Monday 12 through to Friday 16 November 2018, giving all staff the opportunity to participate in a diverse range of wellbeing related activities across our UK campuses. 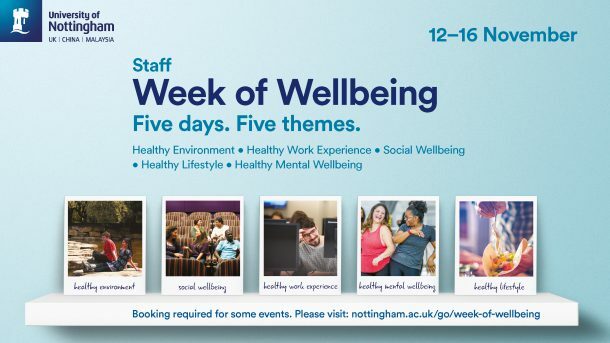 The wellbeing of our staff is important for us as a University and we know from the Staff Engagement Survey that high quality support for wellbeing is valued. As areas of wellbeing are all interlinked, the programme of activities and events taking place during the Week of Wellbeing will reflect this and will include social wellbeing, healthy environment and financial wellbeing amongst others. Being physically active is important for being both physically and mentally healthy. Moving more and raising your heart rate will contribute to a healthier lifestyle in numerous ways. Booking is required for some events. Please visit: nottingham.ac.uk/go/week-of-wellbeing.